Going to Genting Highlands is always a fun experience; nestled high above sea level at more than 1,700m (5,570 ft), Malaysia's very own Las Vegas has provided Singaporeans with exciting getaway for years. 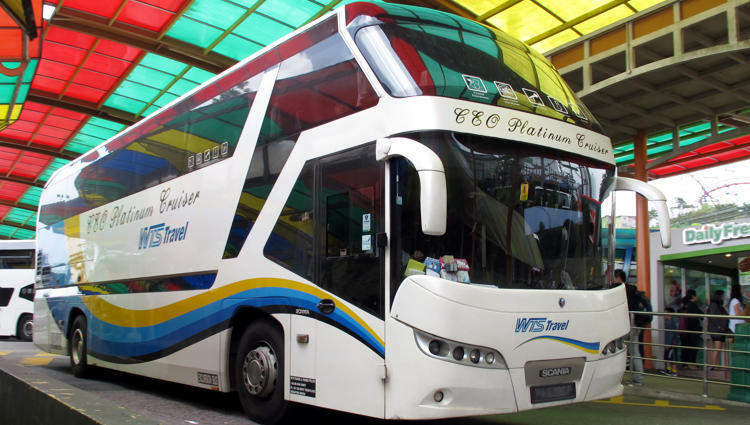 It is both convenient and cost-effective to take an express bus from Singapore to Genting Highlands. 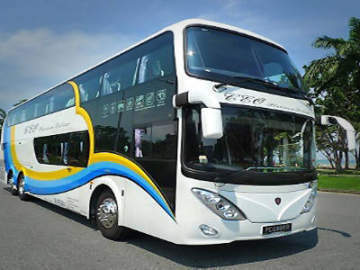 Several bus companies operate direct bus going to Genting Highlands and some even offer Genting package which also includes hotel accommodation. Beside Golden Mile Complex and Golden Mile Tower, there are many convenient pickup points spread across the island: Ang Mo Kio, Bedok, Boon Lay, Bukit Timah, Choa Chu Kang, Compass Point, Jurong East, Kovan Hub, Lavender MRT, Peoples Park Centre, Punggol, Queen Street, Sembawang, Tampines, Woodlands and Yishun. 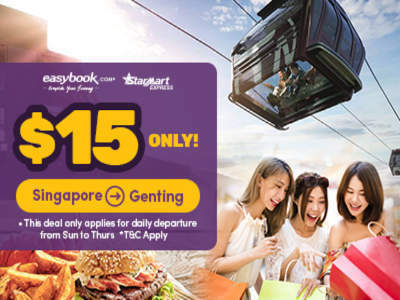 As such, you may want to book your Genting bus ticket with the bus company that offer a pickup location nearest to you or a drop-off point closest to your final destination in Genting Highlands. The drop-off points at Genting Highlands are: Awana Genting Resort, Awana Bus Terminal, First World Hotel and Genting Resort Hotel. **The above bus ticket prices and timing are subjected to changes without notice. 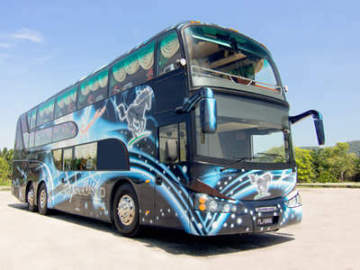 Please check at these websites for the latest schedule and bus fares to Genting Highlands: BusOnlineTicket.com and Easybook.com. 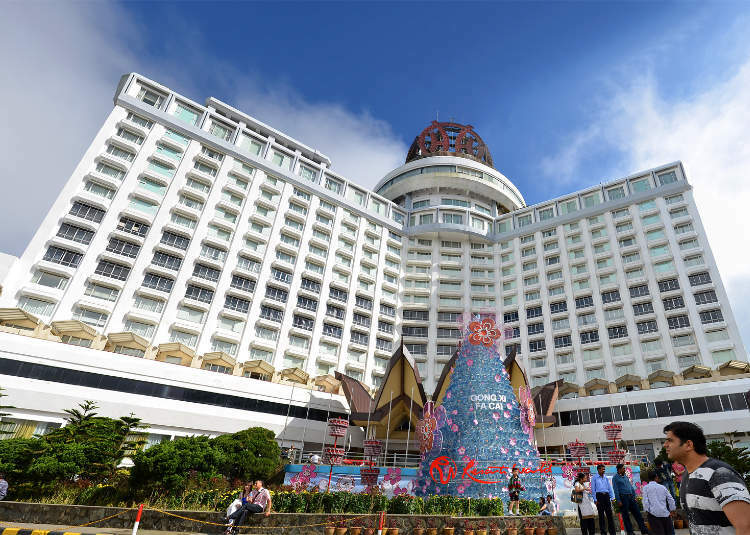 Finding accommodation in Resort World Genting is easy; there are plenty of hotels here, including the world's largest, First World Hotel. However, book early as rooms can get snapped up rather quickly during peak seasons. The First World Hotel is rated three-star and the price is most affordable. There are two towers with 6,118 rooms; the number is probably chosen to sound auspicious to the Chinese-speaking visitors. Be patient when you're staying here, as check-in and check-out queues are long. The rooms are basic and far not as luxurious as the casino hotel nearby. Luxury-seekers should opt for Genting Grand Hotel, one of the Highlands' oldest hotels. A five-star joint, it features award-winning restaurant The Olive, among others. 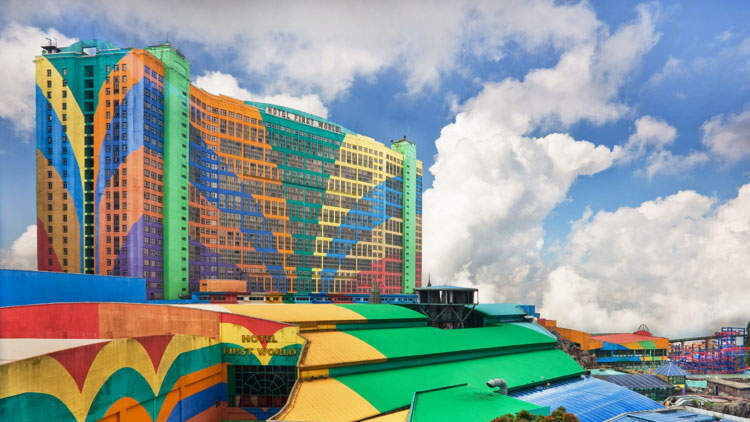 Another hotel you should probably check out is the Resort Hotel because of it convenient location and easy access to the Resort World Genting's must-see attractions. The Genting Highlands are famous for its theme parks and casinos. 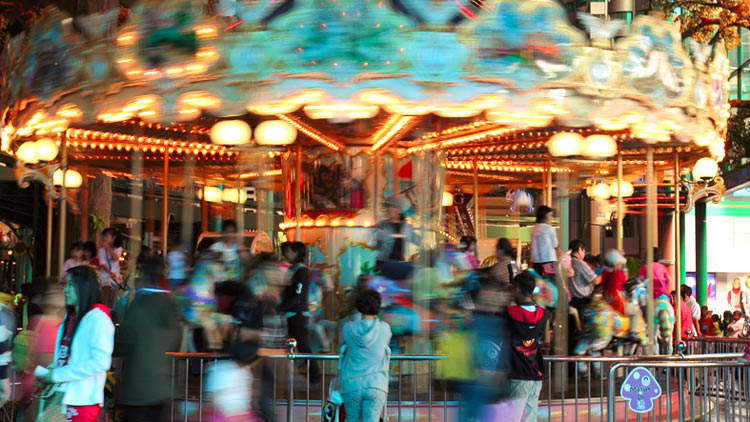 Families should check out First World Indoor Theme Park, which feature numerous rides and attractions, such as a Rainforest Splash Pool, SnowWorld and Ripley's Believe it or Not Museum. Those opting to spend a day in the Indoor Theme Park should consider the "1-Day Unlimited Ride Pass + Ripley's Believe It Or Not" package: MYR30 for adult and MYR32 for child. Monte Carlo Casino is the biggest of the 3 casinos in Genting Highlands. And your trip to Genting Highlands is not complete without a visit to the "Monte Carlo" even if you do not gamble. Other attractions include the Arena of Stars, a concert hall and First World Plaza, Malaysia's self-proclaimed highest shopping mall. Find the best timing, compare prices and save the hustle of booking your bus ticket in person. Here's a couple of websites offering bus tickets online: BusOnlineTicket.com and Easybook.com.